First of all, Sedona lodging options range from a budget pittance to all-out luxury. So, you have to know what you want and what you can afford. There are well over 100 hotel properties in our little red-rock-spectacle enclave, so you will indeed find every lodging option of which the mind can conceive. That means: hotels, motels, bed and breakfast inns, fancy resorts, camping facilities, vacation rentals, rustic cabins, hostels, and so on. Once you have that narrowed down, it’s time to decide if you have a preference for what part of town you’d like to stay in. Now, mind you, the whole of Sedona doesn’t generally take longer than 10 minutes to drive from one point to any another; 20 minutes if you count the Village of Oak Creek as part of Sedona or if you venture out at a high-traffic time. So, even if you do have to go all the way across town to do something, it can barely be considered an inconvenience (unless of course you live here). Uptown is the touristy part of town where a majority of shops are, as well as home to tour companies. Places to stay in Uptown are either along the main drag or directly behind it on the abutting suburban streets. Plenty of red rock views here. 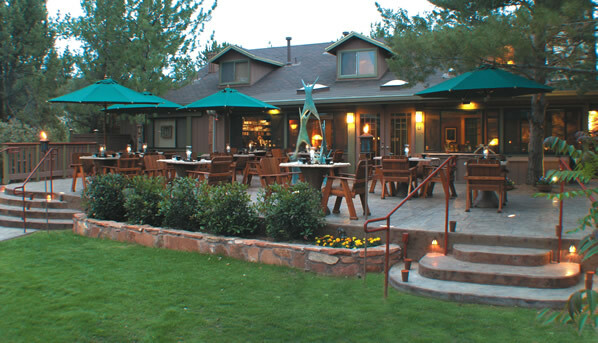 West Sedona is where the main drag leads westward to a more local business and residential area. Again, plenty of red rocks all around. Oak Creek Canyon is a long scenic canyon drive north between Uptown and the City of Flagstaff. Definitely more rustic and a bit cooler, it runs along Oak Creek. Beautiful, with a remote feeling (though nothing mentioned here is remote) and the melodious sound of running water, but no Internet access. Tlaquepaque is shopping and arts mecca of beautiful shops in a Spanish style. Hillside is on 179 (the other main road in town besides 89A) and consists mainly of art galleries and the Hillside shops. The Village of Oak Creek is mostly a picturesque suburb adjacent to Sedona proper, that has a slightly less congested feel than Sedona and includes such iconic landmarks as Bell Rock and Courthouse Butte. Now, once you know how much you want to spend, what type of lodging option you’d prefer and where, I would do one of two things. 1) I would visit TripAdvisor.com, search for my preferences, and then look at the pictures and reviews of real people who have visited these properties to make a better booking decision. If you want to book online, TripAdvisor is a no-brainer (to me anyways) because they only accept reviews from real people and are not seeded with reviews from the establishment itself like most review sites. 2) If I wanted to talk with someone, I would call Sedona Central Reservations to get information or to book something because they work for ALL the properties in town and can answer questions about them and help you find what you’re looking for. There is no charge for their services; they are paid by the hotels. Keep in mind, I would still check out their recommendations on TripAdvisor because you are still relying on one person’s advice that may or may not be what you’re looking for. Asking a local for Sedona lodging information really isn’t the best way to go, except maybe for luxury properties. For the most part, locals don’t frequent all the different places to stay because they live in Sedona. But they probably have an idea of where they would WANT to stay if they were getting a free room. I certainly know where I would want to stay…but my desires are based on reputation, hearsay and projection, not actual experience. Best advice, use TripAdvisor.com to get the information you want and find the best Sedona lodging option for you. PS: There really aren’t the number of fantastic deals on Sedona lodging options that you will find in large metropolitan areas. That’s not to say that there aren’t plenty of budget options, but that’s not the same thing. Places I personally check for the sweetest deals on quality places to stay, no matter where I’m headed, are always the same. For most lodging: Hotels.com, Priceline.com, TripAdvisor, Hotwire, eBay, and Groupon Getaways. For flights: Hotwire and CheapoAir. And for vacation rentals: HomeAway and Vacation Home Rentals. Hope this helps you find the perfect Sedona lodging choice for you.